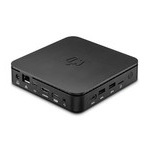 Everyone is talking these days about the Minix N42C-4, the Apollo Lake N4200-based Mini PC. 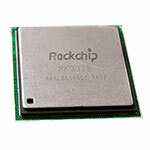 But there's another Mini PC with that SoC that also caught my eye - the KODLIX N42-D. 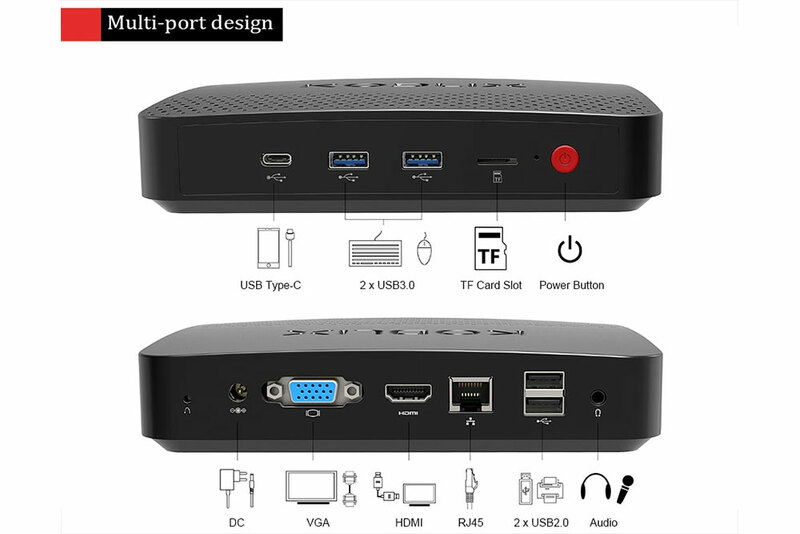 While KODLIX was an unknown brand for me it looks like they have been around for a while, launching a few other devices, including the Minisforum Mini PC that uses the N4200 or N3450 SoC's. 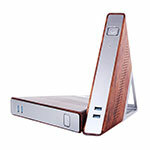 With a power consumption of just 6W, KODLIX N42-D is fanless brings good connectivity : USB 3.0, Gigabit Ethernet, dual-band Wi-fi, internal SATA slot. But does it worth the price tag? 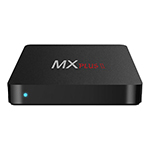 Let's take a closer look and add a small comparison with the Minix device. 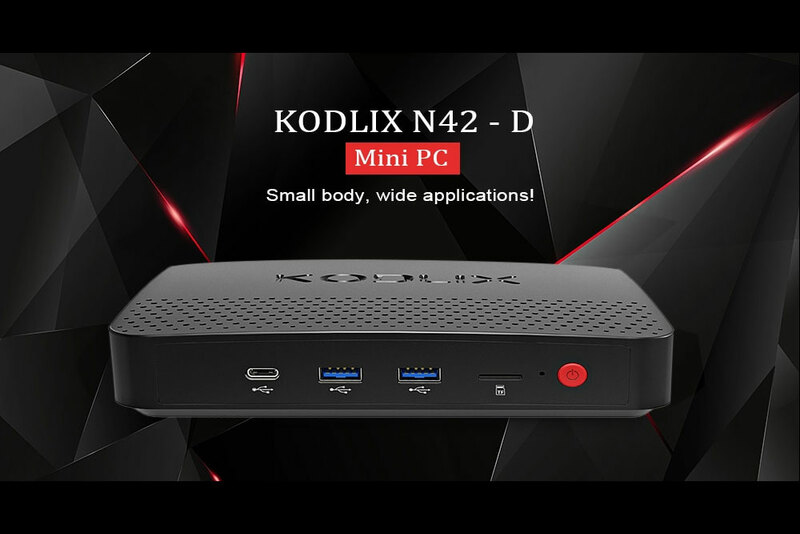 KODLIX N42-D can be purchased from GearBest . 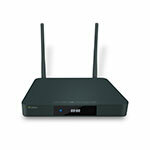 The KODLIX N42-D has several things in common with Minix N42C-4, which is not that surprising as they use the same SoC. 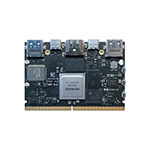 They both have two SO-DiMM modules and USB 3.0 ports, Windows 10 Pro, HDMI 1.4, an USB type-C port. 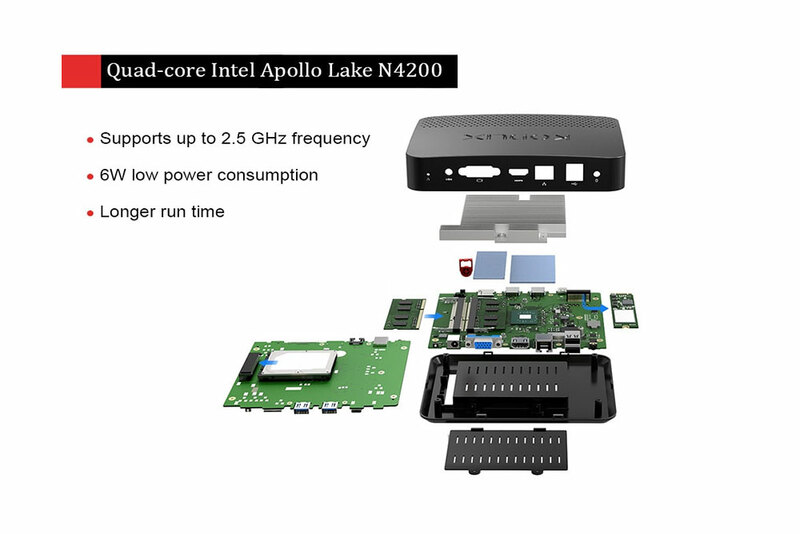 But KODLIX chose not to include a fan, so KODLIX N42-D is completely fanless, and the device will come with a VGA port and an internal SATA port that can accommodate an 2.5 inch HDD (the Minix device has an M.2 slot instead). 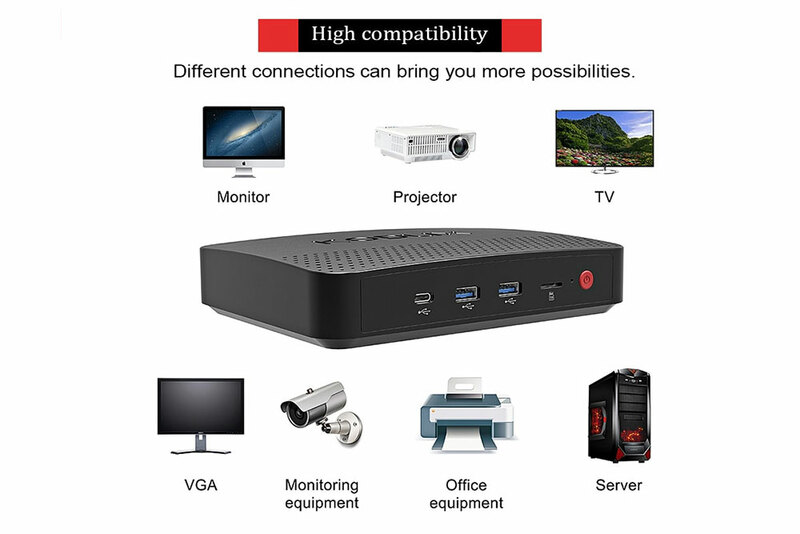 In terms of video output,the KODLIX device can power a dual-screen setup (VGA and HDMI 1.4 - so up to 4K @ 30Hz), while the Minix device is clearly a winner with it's support for 3 screens (HDMI 1.4 @30Hz, Mini DisplayPort - [email protected] and another [email protected] via the USB type-C port). 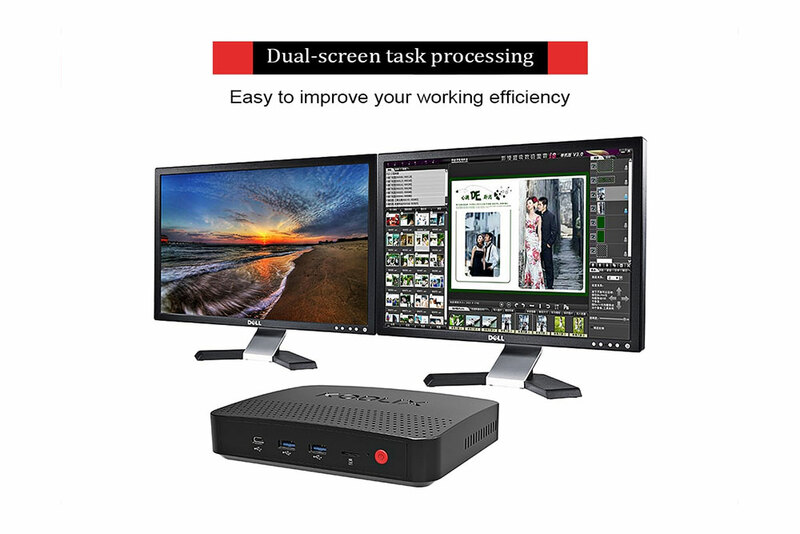 What to choose between the two models? 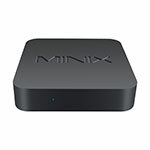 At the current price, the Minix device is clearly a winner. 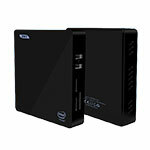 But with a better price the KODLIX N42-D device could prove attractive for those that for some reason need a VGA port or that want to use a 2.5 inch internal HDD. Where to buy? 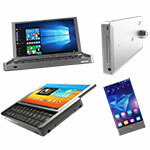 KODLIX N42-D is available at GearBest for $279, with shipping starting in January. 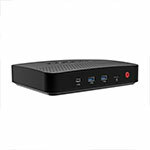 As mentioned early in the article, there's also a third N4200 Windows 10 Mini PC, apparently provided by the same company as KODLIX N42-D, but better priced at just below $200 (or just above $150 for the N3450 version). 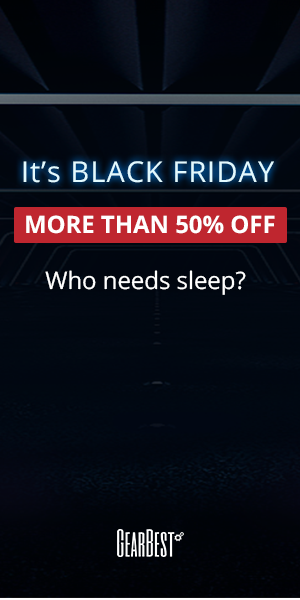 You can also try the above coupon for these.